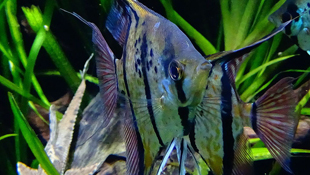 Cichlids are a remarkably diverse family of fish, with many African freshwater species known for their incredible visual system. 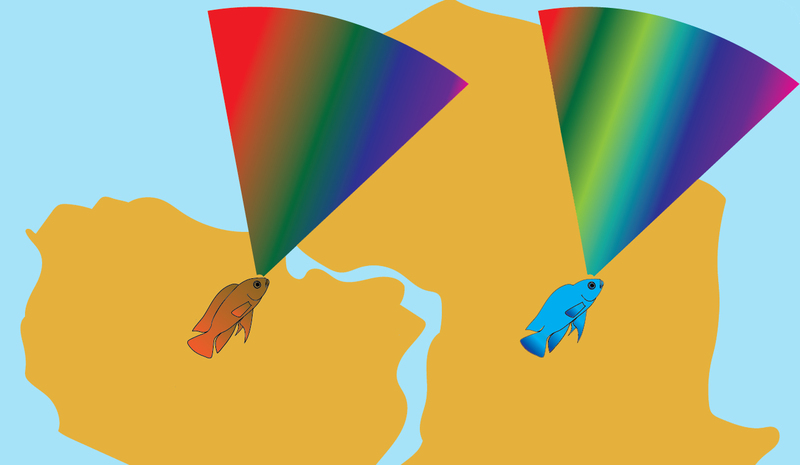 These cichlids’ complex vision results from a diverse array of visual pigment proteins in their retinas: while humans have the genes to produce three of these proteins (called opsins), many cichlids have seven. 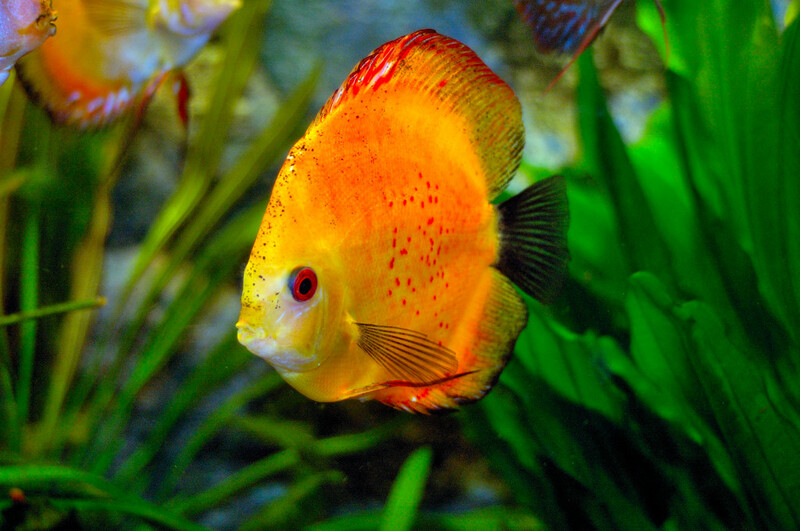 Each African cichlid species produces a specific suite of opsin proteins that matches well with the light spectrum of their environment. 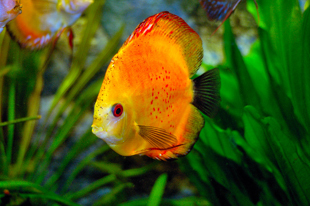 The visual systems of African cichlid species, which evolved in calm, clearwater lakes saturated with sunlight, are fairly well studied. But a new analysis from the University of Maryland and Sao Paolo State University in Brazil is the first to look at vision in cichlids that live in the murky, silty water of South America’s Amazon Basin. The researchers found that, in three select Amazonian species, several opsin genes had been switched off or lost entirely. The research paper, published December 20, 2016 in the journal Molecular Ecology, describes how three Amazonian cichlid species have adapted to the murky light environment of the Amazon Basin, which favors longer wavelengths of light such as red and orange. 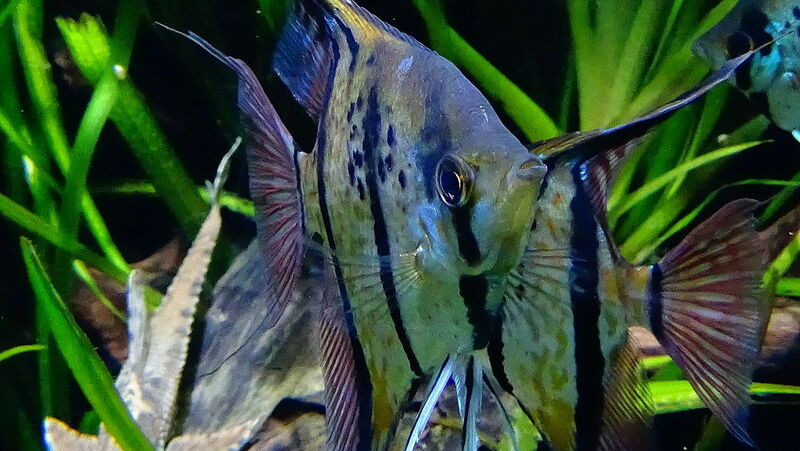 South American and African cichlids diverged from a common ancestor about 100 million years ago, after the supercontinent Gondwana separated to form both modern continents. Important environmental changes led South American cichlids down a path very different from their African relatives.